Neurology is the practice of medicine concerned with the diagnosis and treatment of health conditions and disorders that impact cognitive and motor functions. Neurologists may treat patients who have endured trauma to the brain or nervous system in an accident or who have developed certain neurological disorders due to genetic or environmental factors that have altered cognitive functioning. This is currently an expanding field because scientists and medical experts are constantly learning more about brain and nervous function while developing more effective procedures and treatments. Where the Chicago neurological medical malpractice attorneys of Rosenfeld Injury Lawyers LLC come into play is when these specialists fail to properly diagnose conditions or injure patients through improper treatment measures. 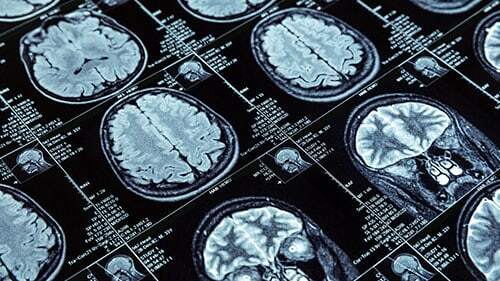 Advances in science and technology continue to expand the scope of what can be accomplished in the field of neurology. Specialists are required to complete a one-year residency in internal medicine prior to completing a three-year fellowship or residency in neurology. The typical neurologist makes a median income of around $236,000 according to information provided by the American Medical Group. For the more ambitious, medical students can opt to spend a year residency in general surgery followed by 5-7 years in neurosurgery before becoming a neurosurgeon. This position typically pays around $548,000 per year. The amount of knowledge and skill required to operate in neurological medicine can be used to justify these specialists’ high salaries, but it also means that they need to be more conscientious in how they perform their duties— from being expedient in ordering the right diagnostic tests to both proactive and responsive in the treatment of patients. Our Chicago neurologist malpractice lawyers have no qualms with the elevated standards expected of medical specialists both performing critical duties and earning premium compensation for doing so and believe that it is reasonable to demand accountability when negligent choices result in suffering or impairment. Whenever a patient is suffering from a neurological disorder, early and accurate diagnosis can have a very pronounced impact on his or her prognosis. One example can be the failure of a doctor to order imaging scans for an athlete or a car accident victim following a blow to the head. It is possible for these patients to show no immediate indications of brain damage while micro-tears inside of their brain slowly fill with fluid and become problematic over time. By the time symptoms surface, most of the damage has been done. The nervous system is not as resilient as the other systems that support our bodies because nerves and brain cells are incapable of repair or regrowth. This means that any damage sustained to the brain, spinal cord or major nerves is often permanent. To provide the best chance of recovery from traumatic injuries, neurologists need to detect problems early and prevent the progression of damage rather than attempting to repair the damage that has already occurred. Neurologists have plenty of technology available that can help them diagnose injuries to the brain and nervous system which include imaging scans such as computerized tomography, magnetic resonance imaging, and positron emission tomography. They can also perform a spinal tap to diagnose certain conditions affecting the spine and nervous system. These scans are invaluable in helping provide diagnoses due to their ability to allow doctors to peek into the internal function of the body’s nervous system. Victims of medical malpractice who have endured neurological disorders may never be able to enjoy the quality of life they once had. The many injuries that can result from a late diagnosis, misdiagnosis or the improper treatment of injuries and disorders can include some of the following. Progression of traumatic brain injuries— as mentioned previously, time is of the essence where traumatic brain injuries are concerned and the late diagnosis of a concussion or internal swelling within the brain can result in catastrophic brain damage which leaves the patient unable to concentrate, recall past events, form words or understand what others are saying or perform normal motor functions. Neuropathy— there are different forms of neuropathy, but the most common type associated with malpractice is called peripheral neuropathy. This is defined as the destruction of or damage to the critical nerve networks that the brain uses to send signals throughout the body. It often results in extreme pain and may even affect motor function. Taking wrong treatment path— prescribing the wrong medication to a patient or electing to perform the wrong therapeutic or surgical procedure can have disastrous consequences by not only failing to treat the issue but by exacerbating it and leaving the patient in even greater pain or with greater neurological damage. Paralysis— it is possible for the late diagnosis, misdiagnosis or mistreatment of neurological conditions to result in partial or complete paralysis. Not only is this devastating to the patient and his or her family, but it consigns the entire family to a lifetime of expensive therapy. The cost of caring for someone with quadriplegia can easily exceed $4.5 million through the remainder of his or her life. Emotional distress— anyone who has been informed that he or she will need to live out the remainder of his or her life with physical and mental impairment can have difficulty with the transition from a prior standard of living into a new one. This emotional anguish doesn’t resonate solely with the victim but can cascade into relationships with family members and friends. Everyone involved needs to learn proper ways to cope, accept the new reality and adjust. Advancement of brain tumors— whether due to cancer or the development of benign meningiomas, tumors can impact cognitive function when their growth has an impact on the areas of the brain they share space with. Allowing these tumors to grow unabated can ultimately result in irreversible brain damage and the loss of cognitive abilities or reduced motor function. Aneurysms— certain treatments or medical complications may result in bleeding within the brain, which can create numerous problems. In addition to the blood loss caused by massive internal bleeding, the brain can be damaged due to the swelling that accompanies the bleed. While compared to a stroke, it is important to note that aneurysms often precede strokes and vary in that they are much more difficult to detect. Stroke— if a neurologist is slow to diagnose a stroke, the consequences can be profoundly devastating to the patient and his or her family. The time it takes to determine that a stroke has occurred will affect whether certain treatment options can be implemented to quickly limit the amount of brain damage suffered and whether the patient can recover cognitive and motor function later on. Certain medications or treatment options for neurological disorders may cause a stroke as well, making it imperative that doctors closely monitor how patients respond to treatment. Death due to injuries or complications— any of the medical conditions, injuries or complications that result from malpractice can dramatically decrease the life expectancy of victims, whether they die quickly from such injuries or later on in a premature fashion. We recognize that even though medical specialists receive years of training and guidance, they are still human beings who make mistakes. When those mistakes have drastic consequences, we believe that the presiding physician and institution providing care are both obligated to provide compensation to make up for the additional medical expenses resulting from those mistakes along with the physical and emotional suffering that can result. Rosenfeld Injury Lawyers LLC has helped thousands of clients recover the compensation they are entitled to after suffering injuries due to medical malpractice. There is a lot involved with these cases and the laws meant to protect healthcare providers from frivolous lawsuits can also make it more difficult for those with legitimate claims to receive the fair compensation that they should. This is why we have compiled a team of attorneys that specialize in malpractice law and have a strong history when it comes to securing damages on the behalf of clients just like you. Contact us today to arrange a free consultation with one of our award-winning Chicago neurological medical malpractice attorneys so that we can review the pertinent details of your case and let you know more about your legal options. We believe that anyone who has been injured should have access to high-quality legal representation regardless of their finances. It is for this reason that we will refuse to accept any upfront attorneys’ fees and guarantee that if we fail to secure a settlement or judgment in your favor, our services will be free of charge.